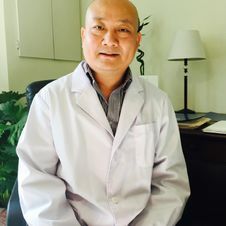 Wei Zheng, acupuncturist at the AcuMedicina Clinic, Chinese Acupuncture, has more than 25 years of professional experience in hospitals and medical centers in China, the United States and Canada. He earned M.D. degrees in Chinese Medicine and in Modern Conventional Medicine (also called Western Medicine in China) at the Beijing University of Chinese Medicine. 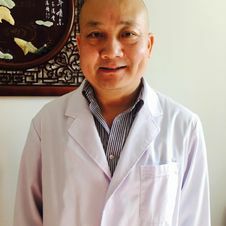 He is a recognized doctor of Chinese Medicine in China, and is also trained in Chinese medicine, internal medicine, neurology, gynecology, infertility and certain types of complicated diseases. Mr. Wei Zheng, owner of AcuMedicina Clinic, Chinese Acupuncture, frequently participates in television and radio shows, sharing his knowledge of Chinese medicine with the general public. Visit this page regularly to see videos and clips as they are published. Patrick Ramirez and Audrey Grenier, the two hosts of the talk show, had the pleasure of welcoming Mr. Wei Zheng on the show. As the "Mosaïque en lumière" host, Chan Tep interviews specialists, citizens and people involved with ethnic community organizations and youth on their relation to multiculturalism and immigration. Marie-Gabrielle Ménard, host of the radio show “Le Retour” on CIBL, receives her healthcare specialist Claudette Ah-Soon, to talk about the benefits of acupuncture and a consultation at AcuMedicina Clinic, Chinese Acupuncture. Wei Zheng, acupuncturist can see you either in Laval or in Montreal!